Every morning I open up my persiane (shutters) and look out at the sky above the four-story hotel that blocks my view of San Niccolò. I can’t see the sun rising along the Arno, but I can see the vivid colors filling up the sky. 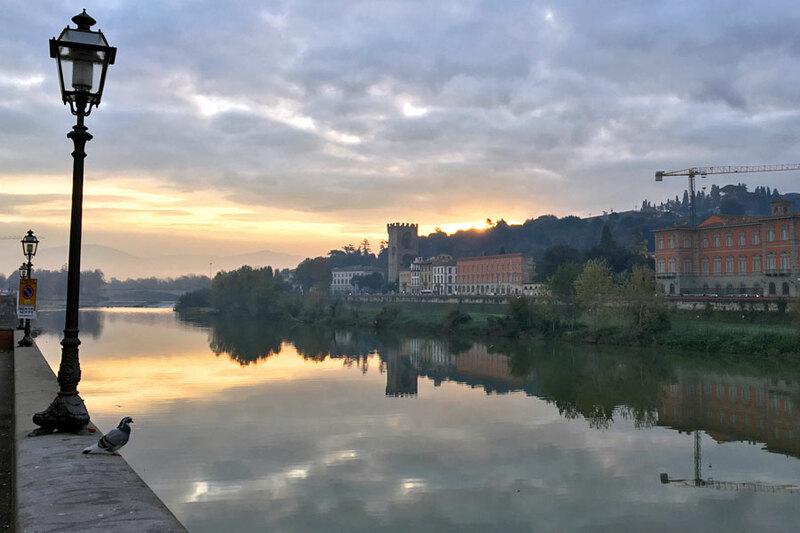 If the sky isn’t overcast, I consider going outside to stand along the Arno and watch the sunrise. Most of the time, however, my head convinces me to stay home where I am comfortable and warm. Sometimes I do feel inspired to just head outside no matter what thoughts might prevent me.